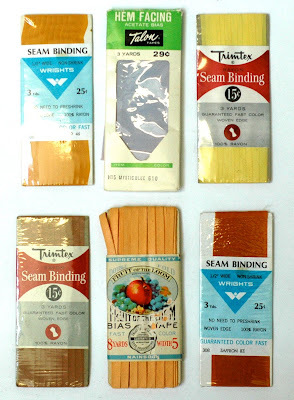 Vintage seam binding (from larger vintage sewing collection). I always enjoyed looking in my mothers sewing box finding treasures. I wish you would make these available as note cards! oh my goodness. i found my old sewing box from high school tucked away in a closet, and for some reason it was filled with seam binding, which i don't remember ever using. 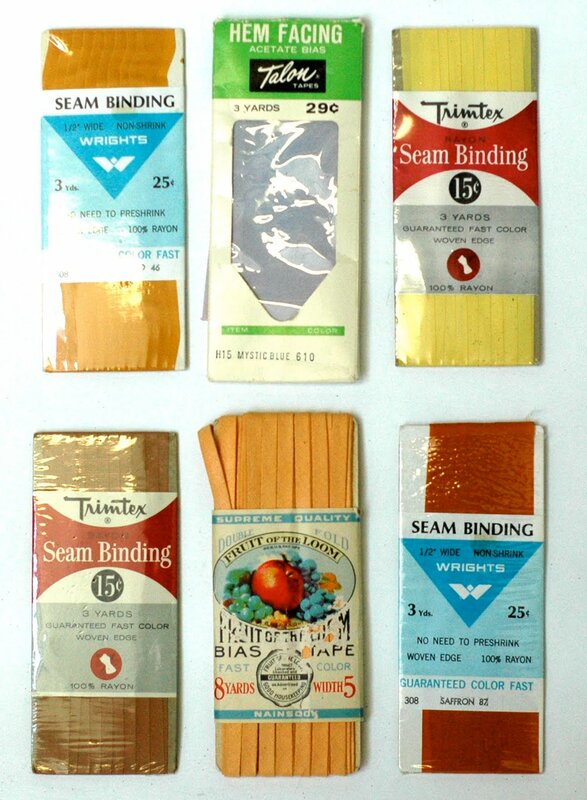 it had that old crispy cellophane just like these. so fun! Hi, it's me, Jemina from Finland. I'll be your biggest fan. Oh my goodnes, this blog it like a dream land to me ! I love things like these, little things making world so much better place to live. Without these funny little things we would not be so happy I suppose. The world wouldn't have any colors. I think there must be a LOT of seam binding packages floating around. Women probably bought them a long time ago meaning to use them, and just didn't. I have a Snoopy lunchbox full that I will never use....I just like looking at the colors.